Spurs - Kind or Cruel? Controversy is always high in the equestrian world when it comes to artificial aids. Whether it be whips, nosebands, lunging systems, bitting… the list goes on! There's always someone who thinks they should be banned. Spurs are used in all disciplines of English and western riding (especially at professional level) and can be a very useful training aid when used properly but the question is, are they kind, or are they cruel? It is a common misconception that spurs are worn solely to make the horse move forward or go faster; this is most certainly not the case! You will notice if you watch professional riders that pretty much all of them wear spurs in every discipline! So if spurs are just to make the horse go faster then surely not every horse would need them. Spurs are there to make your leg aids more clear. So for example in dressage they are compulsory after advanced medium as the sorts of moves that are asked for require such precision that you will find it very helpful to wear spurs in order to complete them accurately. In showjumping and cross country they are often worn to make it clear to the horse when the rider is asking them to extend/collect or takeoff. 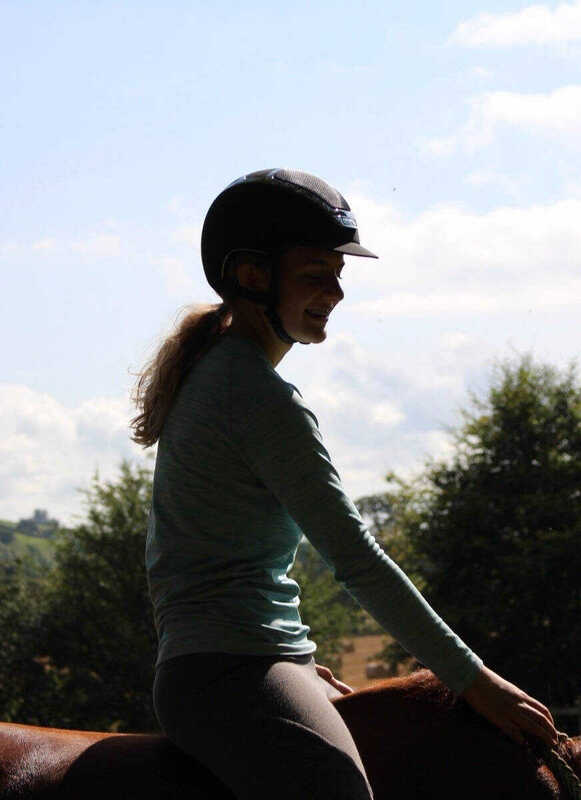 A jumper’s gaits have to be so adjustable so the clear leg aids instil confidence in the horse and make it very clear what the rider wants of them. On the other hand, spurs can also be used to encourage your horse to go faster. I used them on my pony Suzie to get her to react more to my leg and have more impulsion as she is a natural laid back pony. I found them very beneficial and it was much better to use them than be constantly nagging her to move forward. It is also important to note that there are many different types of spurs. Five of the main types are: round end, Prince of Wales, Waterford, swan neck and rowelled. Round end spurs are milder and can be made of either plastic or metal. As the name suggests, the shanks are rounded at the end which means they are not sharp so easier for riders just starting out with spurs or for sensitive horses. Prince of Wales spurs are similar in appearance to the round end ones except they have a flat end which makes them a bit sharper. They are a very commonly used spur. Waterford spurs have a large ball (stationary) on the end of the shanks and are often preferred by dressage riders. Swan neck spurs are also very popular in dressage. Their shanks go up at an angle before levelling off. They are often used if the riders leg is too long for the horses barrel and/or to prevent the rider lifting their lower leg too much to apply the spur. Rowelled spurs come in many forms. The original ones have a wheel with blunt teeth on the end that rotates along the horse’s side (the more teeth there are, the milder it is). Whereas others just have a disk. Another adaptation of the rowelled spur is the roller spur. These have a roller on the end of the shank (usually plastic) which rolls across the side of the horse. These are very mild so good for sensitive horses. So as you might have noticed, I mentioned that different types of spurs are stronger or milder however even if a spur is classed as ‘mild’, this still doesn't mean that anyone can use them. It is important to have a strong, sturdy lower leg position when riding with spurs so to not accidentally stab your horse in the side every stride! Complete beginner riders should probably not wear spurs as they would not have the leg control or position needed to be able to handle spurs. I think that it is wise to be assessed by a qualified instructor before trying spurs as you don't want to harm your horse by accident if your toes always stick out for example. It is EXTREMELY important not to misuse spurs (or any other equipment) as they could do serious damage to your horse. They definitely do more damage than good if you are not capable of using them properly. In conclusion, I think that there is a time and a place for spurs. If you have the riding ability to use them correctly and have a need for them then they are an excellent tool to use however if they are used incorrectly or by an incompetent rider then they are certainly completely unacceptable. So is it more of a question of rider rather than the actual spurs? What do you think? Dm me or comment on my instagram whether you think spurs are kind or cruel!